Throughout history, the discovery and use of vitamins in the human diet has been an uphill battle. Folate is one of many co-enzymatic B vitamins needed for DNA and RNA synthesis as well as the formation of red blood cells. Beginning in 1855, Thomas Addison a well-known physician and lecturer, presented several patients with what he described as idiopathic anemia. All of his patients awaited the same fate of smooth-waxy skin followed by breathlessness and ultimately death. He noted that the prior to death, all patients were unresponsive to all remedial efforts and upon death presented with no lesion or adequate explanation for death. This disease became known as pernicious anemia because of the ever-present smooth and waxy appearance in the patient’s skin. There was no significant progress in finding a cure for pernicious anemia until 1897 when F. Martius and O. von Lubarsch made the connection between pernicious anemia and achlorhydria. Then in 1925, George Whipple found that dogs with severe anemia could be cured by administering a diet of liver. The B vitamin complex was later developed as being a necessary component that aids in digestion in the stomach and is readily absorbed by the liver and kidneys. 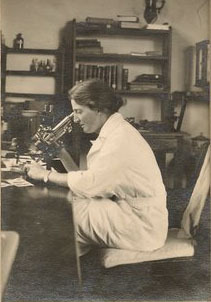 It wasn’t until 1928 when Lucy Wills traveled to Bombay investigating macrocytic anemia, a disease prevalent among pregnant female textile workers. Wills began her research by first analyzing the environment and determined that this anemia was most prevalent in poorer populations that lacked diets rich in proteins, fruits, and vegetables. She then decided to conduct an experiment on albino rats in which she fed them a modified and deficient diet. She prevented the microcytic anemia by adding yeast extract, a substance already proven to be rich in B vitamins, to their diet (B Vitamins, 2012). This solution proved to be a positive cure in treating the macrocytic anemia in the pregnant textile workers. Wills traveled back to her home in England where she kept a detailed account of all the macrocytic anemia patients that she treated with her then named ‘yeast extract’. Wills then spent time researching her findings on monkeys where she was able to reproduce the same anemia after feeding them a diet deficient in B vitamins (B Vitamins, 2012). Around the same time, Paul L. Day reported the same findings when using brewer’s yeast. Another researcher named Albert Hogan developed his own study using chickens. In 1941 however, Wills’ yeast extract was renamed Folic acid after being successfully isolated from spinach by Edmond Snell. The product was later synthesized in pure-crystalline form by Bob Stokstad in 1943. After the synthesis of folic acid, it became widely apparent that it was an effective treatment for megaloblastic anemia and all types of anemia such as megaloblastic anemia of sprue, celiac disease, pregnancy, and malnutrition. Deficiencies in B vitamins were later linked to low white blood cells and platelets as well as neural tube defects. Today, pregnant women are encouraged to take folic acid supplements while pregnant, particularly during the early stages of pregnancy. The recommended daily value for folic acid is 400 micrograms per day. This recommendation has changed from the previous 1989 recommendation of 180 micrograms for women and 200 micrograms for men. Foods containing folate range from grains, meats, and beans to fruits and vegetables, particularly leafy green vegetables. Indeed, the discovery of folate has come a long way from its original roots as being misdiagnosed as a cure for what is now called Addison’s disease to prevent major birth defects. Folate in present day is most related to being the most preventative measure when preventing spina bifida in newborn babies. There is still much to be understood about the B vitamins and their role in enzymatic functioning. For more interesting and informative articles check out the Fill Your Plate blog! New articles are posted every week. This entry was posted in Diet Tips, Fill Your Plate, Food, Food Facts, Health Tips, Healthy Eating, Produce, Recipes and tagged Anemia, Defects, Folic acid, Lucy, pregnancy. Bookmark the permalink.